There’s something special that happens to children in the wilderness, high on a mountain under a stormy sky. Magic sparks fly when they abandon electronics and discover the company of wildflowers and dirt, rain and mountains. What they actually discover is each other – and themselves. I’m so lucky. Lucky to work for Walking Mountains, and lucky to watch the youth of this valley meet the sights and sounds of their natural world. This week, with 11 10- and 11-year-olds, camping at Vance’s Cabin on Tennessee Pass, I was privy to just that sort of magic. When Natalie Nighthawk or Evan Eagle described dead, twisted tree trunks, they said they looked like a cat, or a roast turkey, or a ship. When Sal Snail Slug found a Mountain Monkshood, its petals shaped like a man wearing a purple hoody, he pulled up his own hood saying, “He’s just like me!” And when we summited Chicago Ridge in a rainstorm, and the kids were pushed to their physical and emotional limits, their beaming smiles were a true testament of their incredible character. They came out of the tarp sandwich singing and inventing rhymes: “We are soaked to the bone, but at least we’re not alone!” they sang. Brynn Blue Jay asked to cartwheel down the mountain! So why do we walk in the mountains? Why do we subject ourselves to dirt and cold? And the kids discover that they can do so much more than they thought possible. They can eat wild strawberries and hear the sounds of elk and ravens. They can sit silently by a spring, writing poetry. They can work together to cook, clean and solve problems. We walk in the mountains because it makes life simple enough to understand. Sometimes, in life, it rains. But when we work together, and believe in ourselves, we can accomplish great things. 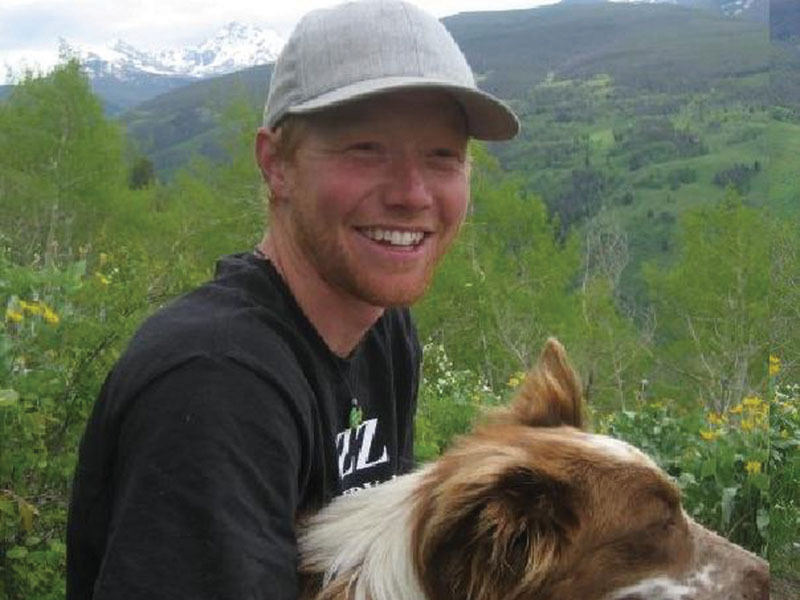 Roddy Beall is a graduate educator at Walking Mountains (formerly Gore Range Natural Science School). When not pretending to be an animal in the forest, Roddy can be found dancing with his dog and singing in Spanish.